North Animas Junction is where the Missouri Pacific crossed the Santa Fe. The Santa Fe entered Colorado about 30 miles south of the Missouri Pacific and both railroads wandered across the state to North Animas Junction where the lines crossed and paralleled each other the rest of the way to Pueble. The Santa Fe was built in 1875 while the Missouri Pacific was built in 1887. 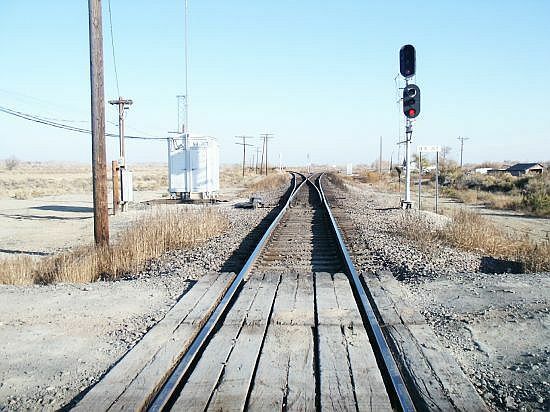 Later the lines were combined into a single line that merged at North Animas Junction. Looking east from NA Junction. The Santa Fe arrives on the right and the former Missouri Pacific on the left. 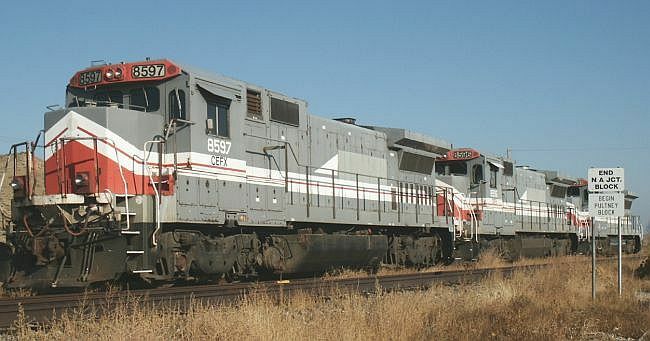 After UP acquired Missouri Pacific it abandoned the line and it was sold to a shortline operator. A trio of engines sits a few miles east of NA Junction. Aside from moving grain harvests, the former Missouri Pacific is used for car storage. 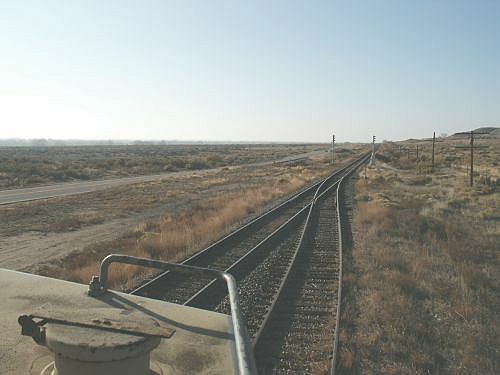 Looking west from the engines at about Pultney which is a few miles east of NA Junction.